Swimming. It wears 'em out. It's fun for babies, big kids and grown-ups alike. And with so many feature-packed, warm-water pools to choose from around Puget Sound, it's easy to indulge in serious water play all year long. And each year, we're seeing more super kid-friendly pools open (such as the terrific People's Pool in Tacoma) that beckon families for wiggle-busting winter fun. Prices: $5.25–$5.75. Family: $20. Under 2 free. Multi-visit passes available. Fun features: The super-popular pool features an inner tube, water slides, sprayers, lazy river, diving boards, wobbly walkway, swirl pool and fountains. (Warning: The sprayers can be a little intense for very young ones.) There are also two hot tubs (one that's perfect for families and one that's an adult-only spa at a higher temp), a lap pool and a warm water "wellness" pool. For little ones: During “Beach Swim” times, only the shallow play area is open — water depth is up to two feet. Pool tips: You can purchase "Open Swim" tickets online, highly recommended on weekends. Or get there at least half an hour early on weekends/holidays. Look for “Rec” and “Open” Swim Times for full use of fun features. Kids have to be at least 48 inches in height to go down the tube slide and 40 inches for the body slide. Pool deals: If you plan to go often, invest in an annual pass. You’ll have use of all the rec center amenities plus get priority entry for open swim ($73.75/month for a family of five for non-residents and $64.17 for Lynnwood residents). Prices: $6–$8; kids 3 and under are free and Bothell residents are free with ID. Fun features: Located at the McMenamins Anderson School complex in downtown Bothell, this full-size saltwater pool doesn't have slides, diving boards or other excitement, just plenty of very warm, shallow water, pool toys and a killer schedule (it's open 9 a.m.–11 p.m. every day of the year, with two-hour open swim times throughout the day. Note: Call in advance on foggy days, due to open-air facility, they occasionally close early or open late). Depths range from shallow (4.5 feet) to shallower (around 2.5 feet). Kids ages 5 and under must have an adult in the water with them. Pool tips: After your swim, get snacks and drinks at the tiki-themed Northern Lagoon restaurant above the pool. Or check one of the other restaurants (or movie theater!) on the premises. Fun features: This warm-water pool might be the region's best toddler pool, with a large shallow-water leisure pool area with beach-like entry that's perfect for littles, as well as a lazy river, basketball hoops, inner tubes, geysers, flotation rings, pool toys. Also, find a hot tub and sauna a short distance from the pool. For little ones: The leisure pool ranges from 6 inches to 3 feet deep and is designed for children 6 and under with a parent. Lifejackets are available for all ages. Pool tips: The line for the rec swim starts about a half hour before the session starts. Also register early for swimming lessons as they fill up fast, and add “playtime passport” to swim lessons for a few more dollars which gives kids an extra 15 minutes in the leisure pool (shallow area) after their lessons. Pool deals: $3 per person “happy hour” most afternoons and evenings (times vary – check the schedule online). Sundays, enjoy just the leisure pool from 8:30–9:15 a.m. for $1 per person. Prices: $5–$6, Children under 2 free. Family: $20. The FlowRider is $15 per session/person and includes any open rec swim occurring during that time. Check out the fees page for information about multi-visit punch cards. Fun features: This 52,000-square-foot swim center in Snohomish is one of greater Seattle's most exciting, boasting the region's only FlowRider (surf-simulation machine), as well as an epic water slide that goes outside, Splashtacular water slide, recreational lap pool and lazy river. Depths range from 2-4.5 feet. Note: Guests must be at least 48-inches tall and pass a swim test to slide on the Spectacular slide. For little ones: There is a splash play area with buckets to dump water, stairs to climb and two slides. Lessons: Private, semi-private and group lessons offered as well as specialized instruction for competitive strokes. Classes for diving are also available as are SurfRider lessons. Lessons: Safe N Sound is a membership-based pool that is known for its one-on-one, 15-minute swim lessons. Cost is $38 for a class in the pay-as-you-go model. You can save by buying multiple lessons, or by paying monthly. Check out membership options here. Fun features: Pool toys during Family Swim. Super-warm water! Pool tips: Open swim is available for students before or after lessons in the shallow end (parents not allowed in pool). Most parents purchase a package and enroll in an ongoing lesson spot so that their child can swim with the same teacher at the same time each week. Members can also swim during Family Swim (see schedule). For updates and news, check Safe N Sound's Facebook page. Prices: Admission to Seattle Parks pools is $3.75 youth, $5.50 adult, infants under age 1 free. Lessons range in price. Register and find out more by locating your nearest pool. Pool deals: Check individual pool pages for neighborhood deals, fun nights and other offerings. Note: Be sure to check the All City Aquatics Schedule for an overview of pools' schedules including details and closures. Rainier Beach: Opened in 2013, this exciting pool features a lap pool, leisure pool (93 degrees) slide, lazy river, spray and play park, sauna, steam room, spa, diving board, ADA lift, family changing rooms. Ballard: Features diving board, rope swing, slide, warm pool/spa, ADA lift, family changing rooms. Evans (Green Lake): Features diving board, sauna, ADA lift, family changing rooms. Madison (North Seattle): Features diving boards, teaching pool, ADA lift. Meadowbrook (Lake City): Features diving boards, rope swing, ADA lift, family changing rooms. Medgar Evers (Madrona): Features diving board, rope swing, sauna, teaching pool, ADA lift, family changing rooms. Queen Anne: Features diving boards, rope swing, sauna, ADA lift, family changing rooms. Southwest (White Center/South Delridge): Features two diving boards, a spa/warm-water pool, sauna, ADA lift, family changing rooms. Prices: Membership required (joining fee + monthly dues), and financial assistance is available at all branches. Lessons: All pool locations feature the comprehensive “Learn to Swim” program that includes personal safety, personal growth, stroke development, water sports and rescue. See individual pools for programs offered and pricing. Pool deals: The Y typically runs a promotion in January which waives the joining fee for new memberships. Auburn Valley: Check for open swim times. Bellevue: Offers Family Swim every day. Coal Creek (Newcastle): Lap pool, activity pool and spa. The Mushroom area is less than 3 feet deep and perfect for young children. Offers Family Swim options every day. Dale Turner (Shoreline): Adaptive aquatic program for special-needs swimmers; slide, fountain, sprinkler and water basketball. Matt Griffin (Seatac): Lap pool, warmer activity pool, slide, spa. West Seattle: Offers women-only swim, free and reduced fee lessons for afterschool programs. Must submit an application and be approved for free or reduced fee. Fun features: Tacoma's newest pool boasts an indoor spray pad especially for toddlers, a small lazy river (no tubes), floating pads for walk on water play and poolside basketball hoops. Pool tips: Adults must accompany children under age 7 and/or under 42 inches in height in the water. Pool deals: Free open swim on the first Saturday of every month. Prices: Day pass (to the entire facility): $5 youth, $6 teen, $8 adult; age 2 and under free. Lessons: Private, semi-private, group and teen program available for all levels. 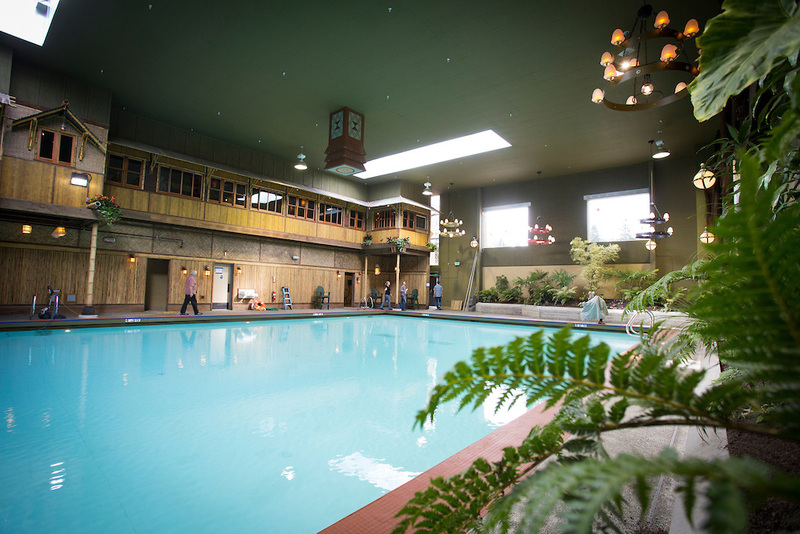 Fun features: Federal Way's awesome pool has a two-story water slide, tube lazy river with whirlpool feature and spa. For little ones: Little swimmers will love the two-foot-deep area with interactive play structure and water sprayers. Pool tips: Best bets for young children are the parent-tot swim in the leisure pool during the school year and Family Swim Saturdays. See online schedule for times. Parents need to be in the water with kids under age 7 and for the big slide, kids must be at least four feet tall. Prices: A day pass for the recreational pool is $3.25 for all ages. Lessons: available for all levels. Fun features: The centerpiece of the recreation pool is a replica pirate ship with active water shooters and tipping water buckets. For little ones: The recreational pool has ramped entry for young swimmers. Pool tips: Certain outside toys and swim equipment are not allowed so call ahead to make sure. Pool deals: The two-hour weekend open swims are the same price as the one-hour weekday swims. 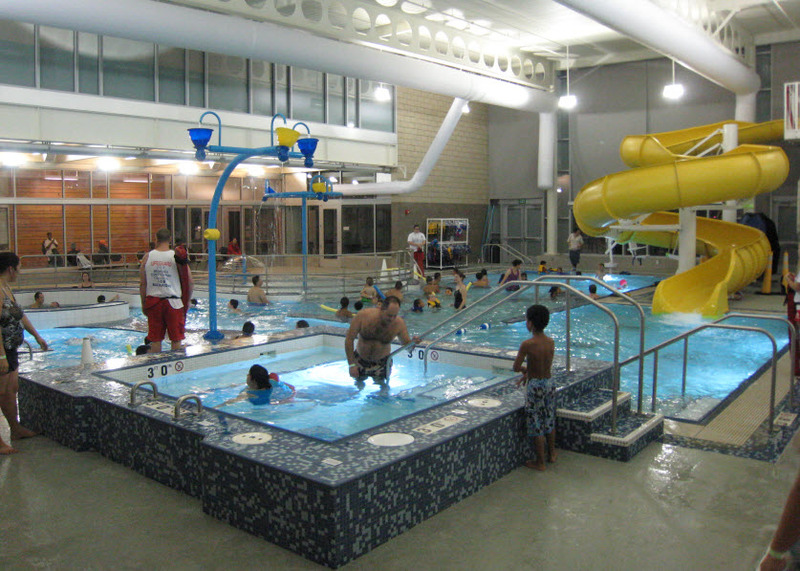 Prices: Public/family swim fees: Non-resident $4.50 per person (under 4 free); family $13.50. Lessons: American Red Cross Swim Program, eight lessons for $58–$80. Fun features: Diving board, 31-foot water slide, huge inflatable octopus, floating “magic carpet,” rope swing, water basketball, pool toys. Pool tips: There are special public swims on school early dismissal or vacation days; call ahead to confirm. The inflatable octopus is in the water on weekends during public swim and the “magic carpet” is available during weekday public swims. They also offer special events like the "Spooky Swim" and the "Hollydaze Float In". Check the pool's events page for details! Prices: $2.50 youth, $3.50 adult, ages 4 and under free. Lessons: 8 lessons for $42–$48. Fun features: Norpoint features a mushroom waterfall, water basketball, family spa and pool toys. Pool tips: There is a community swim time every day. For little ones: The pool has ramped entry for young swimmers. Pool deals: The open swim is free on the first Saturday of the month. Prices: $3 youth, $5 adult, ages 4 and under free. Lessons: Lessons available at all levels including competitive and lifeguard training; 8 lessons for $42–$48. Fun features: This new pool just opened in October of 2018 and is home to a water vortex (perfect for those whirlpool enthusiasts), an aqua zip, a water climbing wall, spray features, and a slide. Pool tips: During family swim parent must accompany youth in the water. Pool deals: The 12:15 p.m. open swim is free on first Saturday of the month. Prices: Open swim fee $7 person. Lessons: Group $77/month; semi-private $97/month; private $45/lesson plus annual registration fee of $35 individual or $45/family (up to 4 people; additional family members $5 each). Fun features: This warm, salinated pool offers large floating mats and pool toys. Pool tips: Enjoy a date night with “Parents' Night Out” (check online for scheduled dates). $25 per child ($20 for siblings); for ages 5–12. Pool deals: Save $2 off open swim if enrolled in lessons. Check Facebook for current deals. Prices: Admission $6 youth, $7 adult. Lessons: Private 1:1 $52.50/half-hour or semi-private 1:2 $36.15/half-hour. Fun features: Slide, diving board; toys are only available during lessons but you can bring your own. For little ones: The ramped entry and temperature of the warm water springs pool is perfect for very young swimmers and people with disabilities. Pool tips: Less crowded times are Tuesdays and Thursdays between 9–11 a.m. Children under 6 or under 4 feet tall must be accompanied by an adult in the pool within arms reach at all times. Pool deals: Discount swim runs Monday through Saturday before 10 a.m. and Wednesdays 7–8 p.m. ($5.50 per person). 12–pass punch cards also available at a discounted rate, see fees page for details. Prices: This is a membership pool. Non-members can take swimming lessons: 4 for $59. Members get discounted lessons and access to Family Swim. Check the schedule. Fun features: Samena has a blow-up jungle gym in the pool once a month, as well as pool toys and water basketball. It also hosts fun events, such as monthly "Float-in" movies included with membership. Tips: Samena offers a year-round outdoor and indoor pool, plus a wading area in the outdoor pool that's open in summer weather. The least crowded times are family swim (only open to members) from 1–3:30 p.m. or after evening lessons at 7:30 p.m.
Price: Admission $4 youth, $5 adult; ages 2 and under free. Fun features: Rope swing, diving board, water basketball. Pool tips: Renovated in 2015, Julius Boehm has new changing rooms, lockers, restrooms and showers. Other upgrades include a new pool liner and a deck coating that's gentler on bare feet. Family Fun Nights are themed to activities such as "super soaker night," "underwater adventure" or "movie night" (check Recreation Guide for upcoming events, typically the first Friday of every month). Pool deals: Take advantage of the Family Rate ($12) for everyone in a household during the public swim. Save with 30-day, 90-day or annual pass. Call for hours: 425-837-3350. Prices: Drop-in entry $4.50 youth, $6 adult. Lessons: Require a $25 annual administration fee on top of lesson prices to attend swim school. Fun features: Mercer Island's only public pool has pool toys and competitive kids' swimming. Also, this is one of the few local pools that books Saturday birthday parties. Prices: Admission $6 youth, $7 adult. Multi-visit passes available at a discount. Lessons available at all levels including parent/tot water adjustment classes as well as specialty classes like diving and water polo introduction. Fun features: Bainbridge Island's public pool has a water tube slide, frog-shaped slide, lazy river, tipping water baskets, diving boards, steam room, dry sauna, spa and double rope swing (!). For little ones: Little ones will love the dedicated tot pool with sloped beach entry and play area (ages 6 and under). Pool tips: Check out the unique classes available or events such as "Float and Float Movie Night,” where kids can eat ice cream floats as they watch a movie in the pool ($7 per person). Also, every Friday the hot tub jets are turned off and kids of all ages can enjoy the spa with their families. Pool deals: Discounted admission passes available for blocks of 10 and 20. Editor's notes: ParentMap staff contributed to this article, which was originally published several years ago and updated most recently in January 2019.